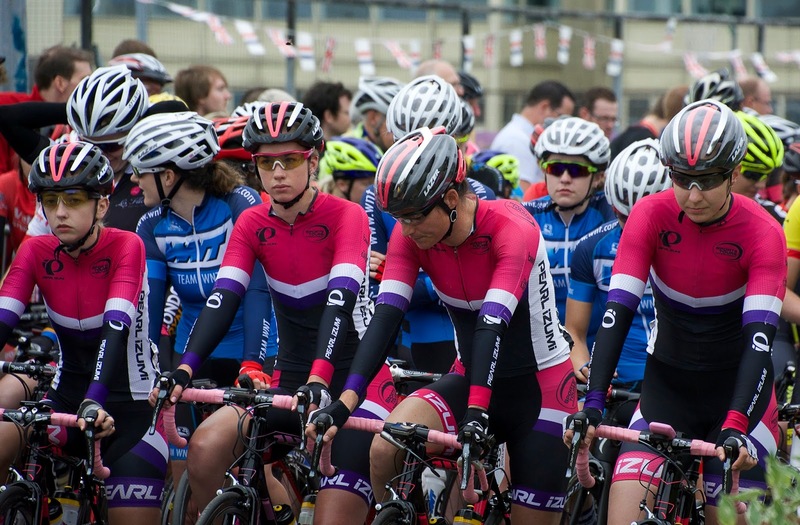 A first-hand account of Ash taking on the big names and the infamous Michaelgate at the British National Road Race Championships. 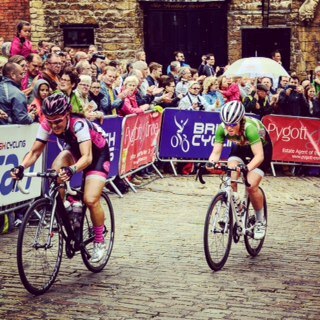 The last weekend of June saw the 2015 British National Championships held on the cobbled and scenic roads in and around the city of Lincoln. We travelled down on the Friday afternoon with the van packed to the gunnels and on Saturday we took the time to have a look around Lincoln, an historic city with a network of narrow cobbled streets surrounding the castle and cathedral at its centre. We could feel its history as we walked around. We did a wee recce of the course which was made up of a 30 mile large loop that started at the Yarborough Leisure Centre in Lincoln and continued out into the surrounding countryside before looping back round into the city centre. 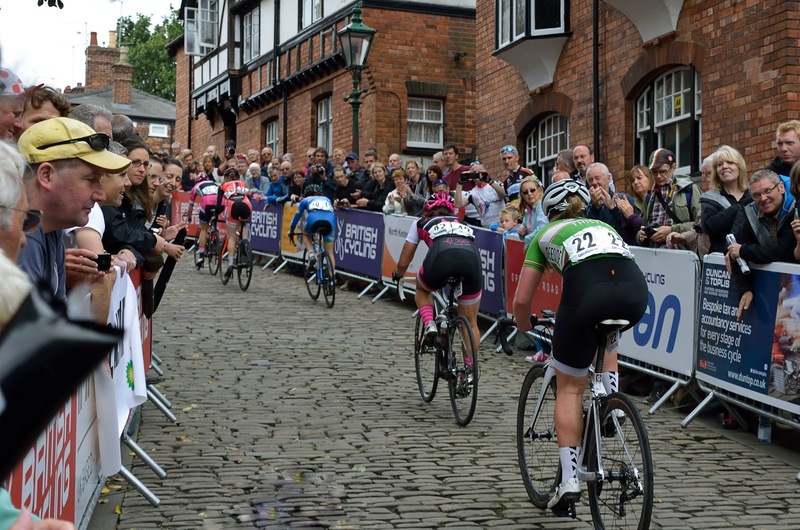 The circuit then continued with 4.5 laps (8.5 laps for the men) of an 8-mile circuit around the city, including the legendary Michaelgate cobbled climb. On Saturday evening we camped at a lovely, quiet campsite near Lincoln. The weather was sunny and warm and I was hoping that this would still be the case on Sunday! However, when we woke up the next morning the rain was pouring down and it was looking like the wet weather gear would be needed. Anyway we quickly packed up the van, ate our porridge and trucked on down to Race HQ, the thought of riding those wet, slippery cobbles getting ever more real. The women’s race started at 10am and thankfully by then the rain had cleared up and the sun was just starting to peak through. Standing on the start line was quite a surreal experience for me. I ended up near the back due to a last minute comfort stop (nerves getting the better of me!) and this was definitely the place to be. All the big names were hiding at the back and with all the cameras and paparazzi on Lizzie, Hannah, Laura and many of the other cycling stars I definitely felt like a tiny fish in a very big pond! The race started off hot out of Lincoln and my primary goal at the beginning was to get a good sheltered position near the front of the peloton … and to keep it! This proved harder than I thought as all the girls had the same idea. The peloton was very dynamic and if you weren’t careful you could get chewed up and spat out the back. As we left the city and rode down onto the long, straight A1500 we were hit with quite a strong cross wind and the bunch was strung out along the right hand side of the road. Again it was a fight to hold your position but I was starting to gain some confidence as the pace was not so hard for me to handle and I was feeling pretty comfortable in the bunch. After this long straight we then turned right onto a windy road that passed through the village of Upton. Along this road there were a few riders crashing but somehow I managed to avoid them. Your bike handling skills definitely had to be on point during this section. After this we again turned right onto a long straight, which led back to Lincoln and with a slight descent and a big bunch we were flying! During this section there were a few attacks and the pace of the peloton speeded up quite a bit. At one point I was dropped from the main bunch along with a few other girls but we got organised, developed a good rhythm and worked hard to get back to the lead group. Heading back into Lincoln my aim was to move up to the front of the peloton as I knew there was a pinch-point at the start of Michaelgate and we’d be jostling for position. I managed to work my way forwards to about 15th position when we hit the climb but half way up I got caught up in a crash as a rider in front of me caught her pedal on the kerb. My heart was racing at this point as the noise of the fans was insane; they were shouting, ringing bells and thumping on the barriers but I was slowly falling further and further back as I couldn’t get my feet clipped back in. One of the spectators ran in, held my bike for me as I literally jumped back on, and gave me a big push up to get me going again. By this point I had fallen quite far back and was struggling to catch back onto the main bunch. I continued to chase on my own for the next lap but unfortunately I had fallen too far back and was ‘black flagged’ (pulled out of the race). 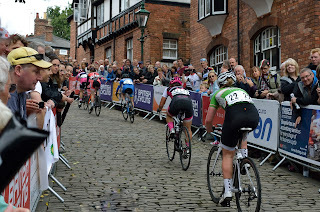 Although it was disappointing not getting to finish the race I wasn’t too disheartened, the whole experience of racing against some of the best cyclists in the world as well as getting the opportunity to experience the crowds and atmosphere of the National Champs was unreal – it has left me hungry for more! Thanks to my parents for taking me to all the races and helping make this exciting journey happen, and of course to my coach Tim Mackley (@VelocitaCoach) for his guidance and support throughout. Copyright © 2016 The Press Room. All Rights Reserved.